Introducing the BLite Mini w/Remote Capability to our powerhouse line of lighting equipment! This ballast has capabilities of running both double ended or single ended lamps and operates using either 120 or 240v power. Its user friendly interface allows you to adjust the power setting as well as lighting schedule to within 1 hour intervals. The Blite Minis bright LED screen clearly displays your ballasts current wattage setting as well as the timer. Great for ceiling mounted applications and hard to reach corners of the grow room. This bulb can fire any mogul base or double ended 400/600/1000W bulb and has features such as soft start, smart ignition, and resin injected housing limiting RF interference. 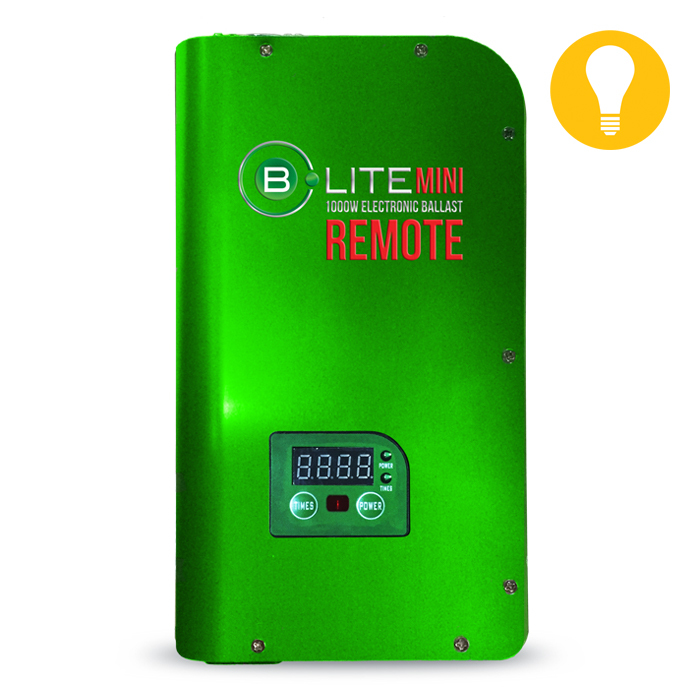 Make a bright decision, get Blite MINI w/Remote today! REMOTE NOT INCLUDED.